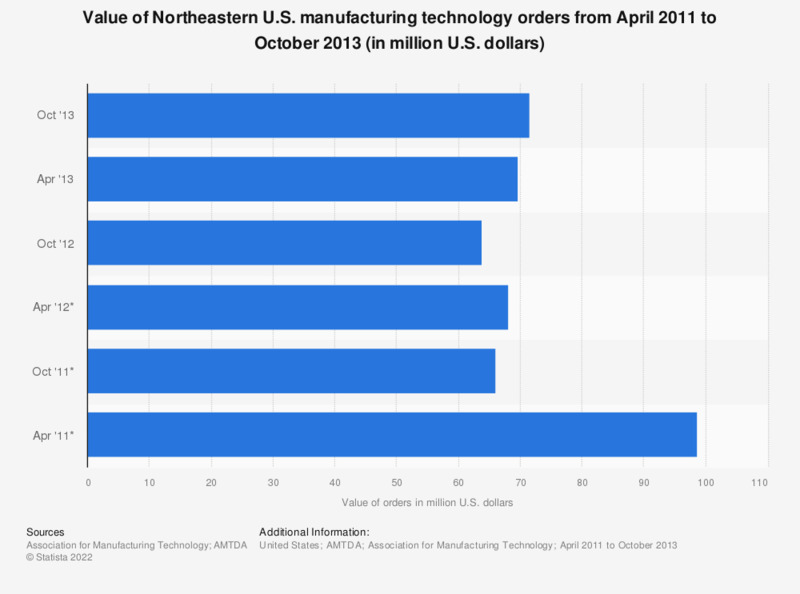 The statistic shows the total value of manufacturing technology orders in Northeastern United States for domestic consumption from April 2011 to October 2013. In October 2012, the value of all such orders came to around 64 million US dollars. * These figures are taken from previous editions of the publication.